Back to School? You won't resist these amazing product deals! The 8-Bit may earn commissions for purchases you make using the links provided in this post. [dropcap]I[/dropcap]t’s back to school time. It’s time you get your asses up from those snoozy couches and move them straight back to school. I get it, it’s a bit overwhelming, going back to a place where you have to begin working again, especially after those unforgettable memories you made during the entire span of your vacation. As soon as you enter the class after a long holiday, vacation blues hit you like a storm. You hate everything around you and badly miss home. But, hang on. It’s just a matter of a day or two before you get back into action. Well, as much as the school itself feels overwhelming, preparing for it doubles the feeling. 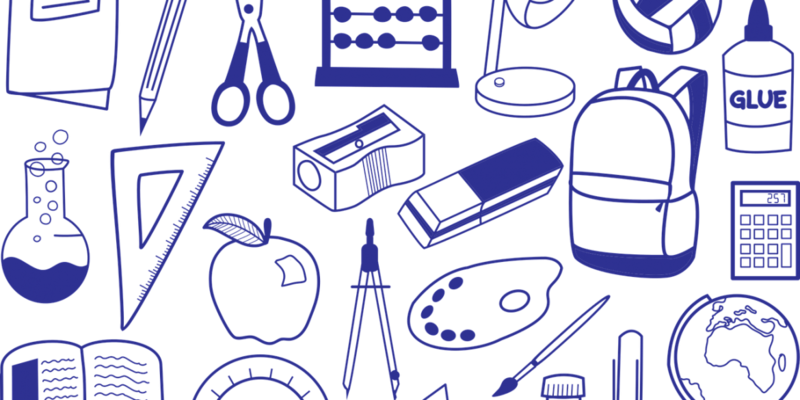 In most cases, you aren’t able to decide the best choices of materials required for a new school year. In almost all cases, you aren’t able to decide what you need at all. But stop panicking! We are here with a “Back to School” guide to suit all your necessities. With that out of the way, let’s get on with the roll. 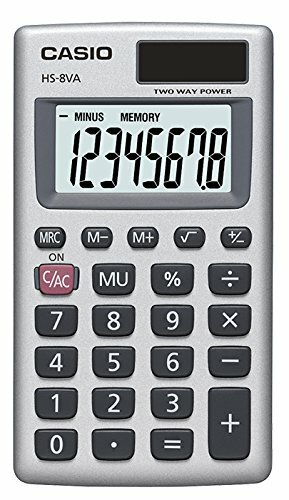 This calculator is an Amazon bestseller. Since it has earned that spot, it boasts a simple design, large, Eye-angled upright display, and a dual power source. You can charge this device automatically via solar energy or manually via a battery. It’s the perfect choice for a go-to calculator. This is the same as the first calculator in this list. The only difference here is that this one is made by Casio and it has a vertical and more pocket-friendly form factor. Also, it charges only through solar energy. You cannot insert batteries on this one. Texas Instruments has done a pretty good job with this calculator. It’s a scientific calculator that also focuses on styling. 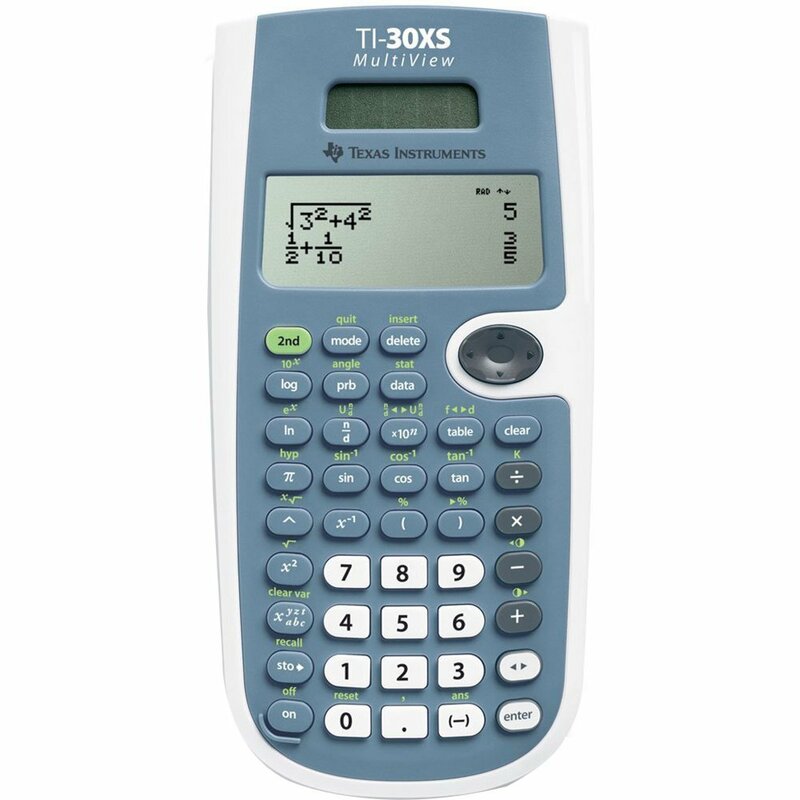 It’s powered by solar and batteries and has a ton of paramount functions including a four-line display, one and two-variable statistics; Fraction/decimal conversion; Step-by-step fraction simplification, a MathPrint feature, and edit, cut, and paste entries. Besides, it also comes in two colors- blue and green. The colors could give you an edge over other students, as essentials matter a lot. This one by Texas Instruments is a much cheaper and a simpler take on scientific calculators. If a four-line view and solar charging don’t matter to you, this one’s for you. Except for just having a battery as its only power source, this calculator has no other caveats. It performs every mathematical and scientific calculation with ease, and you won’t run into an issue. Graphing calculators are expensive, as compared to scientific calculators. But they’re far more useful than any other calculator out there. This one by Texas Instruments is a superb graphing calculator. 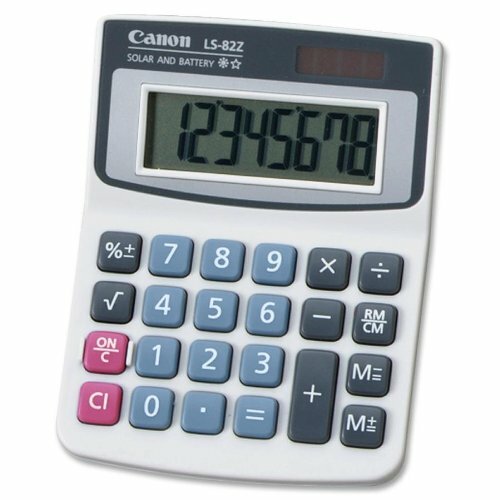 It has a 320 X 420, 16-bit color display and is by far the thinnest and lightest calculator. It lets you overlay and color-code math and science concepts on digital images or your own photos, color-code equations, objects, points and lines on the full-color, backlit display. It’s also a fair deal when it boils down to the battery performance. You get two weeks of normal usage on a single charge. [dropcap]W[/dropcap]here do you keep your calculator? Where do you keep your makeup? Where do you keep your MacBook? Bags are the quintessential objects you need to bring to school. Without them, you wouldn’t be able to bear going to school. Imagine yourself juggling through stuff in your hands on your way to school! Get it? Let’s see some options. A bag for both boys and girls, Jansport brings in the classical simplicity in your bag. 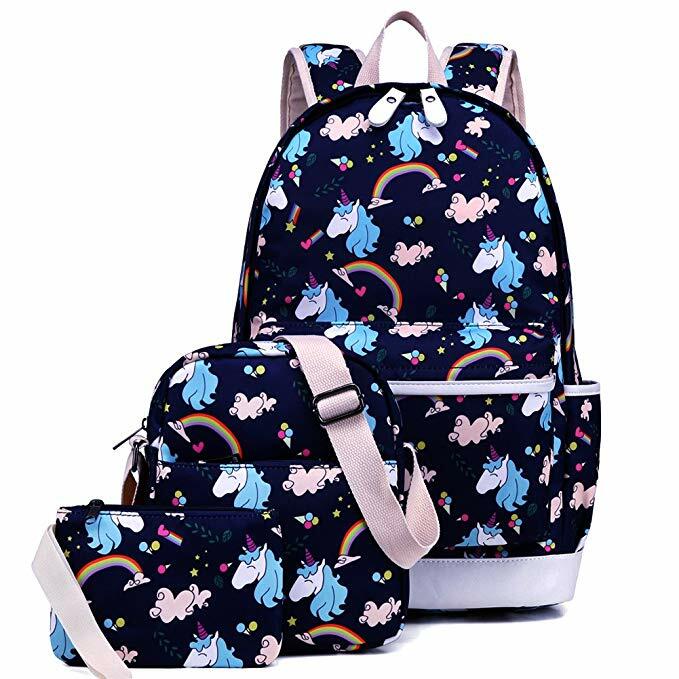 It has a large main compartment, a front utility pocket, a 2/3 padded back for comfortable carrying of books and other objects, and padded shoulder straps to comfort your shoulders while carrying heavy loads. You could fit almost anything in this bag, thanks to its large main compartment. However, you’ll have a hard time fitting in a 15-inch laptop in there. Additionally, this bag comes in tons of colors and designs. If the last one didn’t allow you to fit in 15-inch laptops, this one does. Not only that, it has more compartments altogether to fulfill all your storage needs. It has multiple front pockets and mesh side pockets, an interior organizer section, and an iPad/tablet pocket. 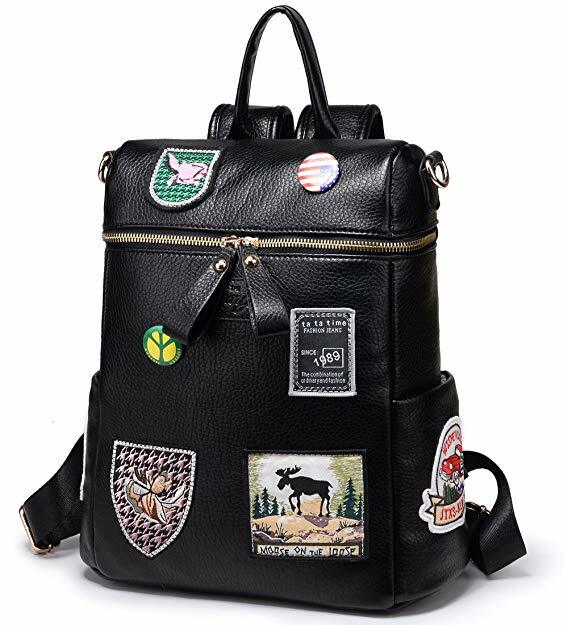 Further, it has sports-style zipper pulls that add a dash of smart to the visual appearance of the bag. On top of that, Solo- the manufacturer of this bag, provides you with a 5-year warranty. That must be one heck of a robust bag! It comes in two colors- black and burgundy. But if you ask me, the burgundy one looks far much better than the lifeless black one. Just as its name suggests, this is an everyday hybrid backpack. Simply put, you can fit almost anything in this bag. And I’m glad it makes it to this list of the best back to school deals. It has a fully padded 17.3-inch laptop compartment, an internal iPad/tablet pocket, and a separate shoe compartment. In terms of its appearance, it looks good, especially because of the accented handles and zipper pulls. The yellow accent really stands out against the gray finish of the rest of the bag. Too bad it doesn’t have other color options. Just take some time to absorb this beauty. Settle down, then read. 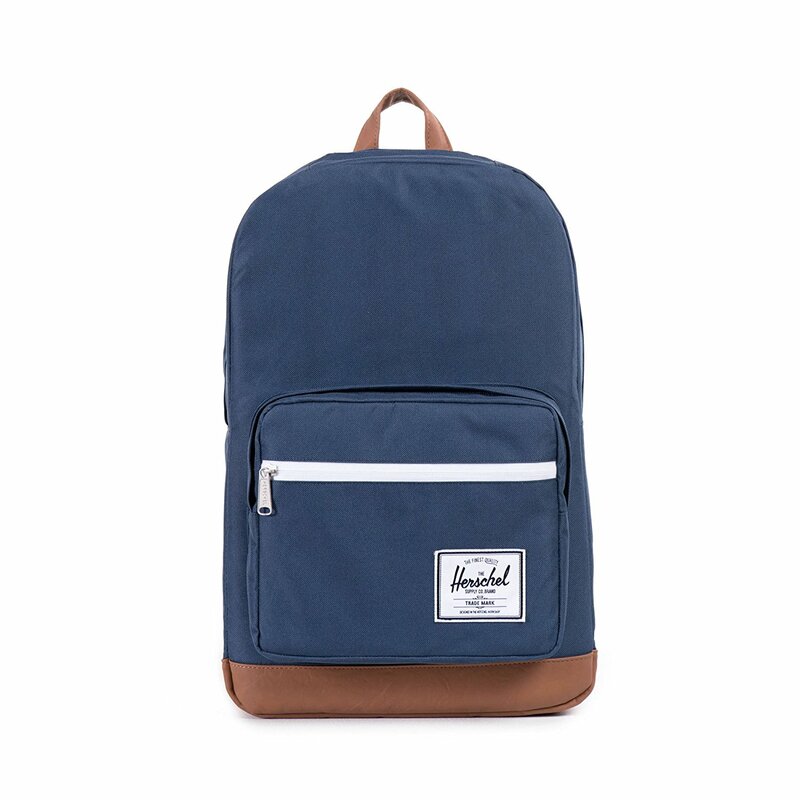 This bag by Herschel is a pure beauty. Not only it brings about a retro look, it does it in a simple way. There are other colors available for the bag, but this one’s the best out of all. That being said, this laptop has a padded and fleece-lined 15-inch laptop sleeve, a front pocket with internal mesh organisers and key clip, and comes with waterproofed zipper detail. The only thing you won’t like about this bag is that it doesn’t offer more compartments. But then, it covers it up by its simplicity. This bag may be expensive, but it has the right to be. It’s from Fossil. The brand itself radiates style and authority. Besides, the bag is made up of Nylon and has magnetic clips. It has 2.5-inch handles and 14-inch straps when fully extended. 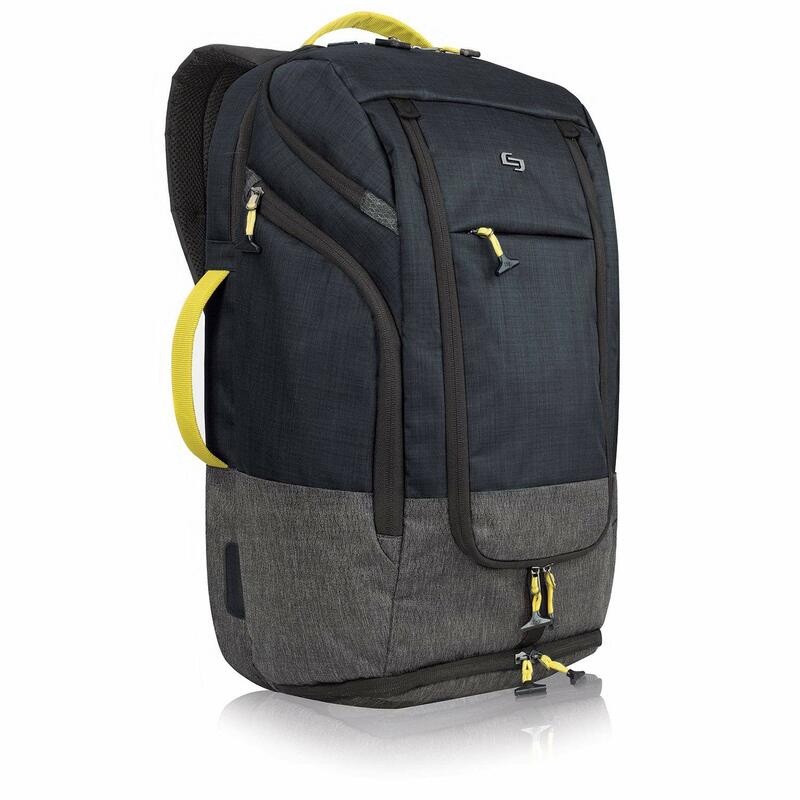 In terms of storage capacity, it has 2 Side Pockets, 1 Front Zipper Pocket and 1 Flap Zipper Pocket on the exterior. On the interior, it has 1 Padded Laptop Pocket, 2 Media Pockets, 1 Zipper Pocket, 4 Elastic Loops and 1 Key Ring. Apart from the specifications, you might also want to check out other colors and versions this bag comes in. This one is for girls who like to carry less to school. But, at the same time making themselves look more fashionable. It’s made up of 95% of durable canvas and 5% polyester. In terms of storage, it can hold an iPad mini or a 6-inch kindle, makeups, notebooks, wallets, water, umbrellas, phones, etc. You can use it every day, to travel, for school, for shopping, in an airplane, for outings, for a weekend and a short trip. This is a must-have product, especially since it comes in a package. Agree or not, girls have a knack for keeping things matching with each other. If they have a green tank top, they need a green bag to go with it. 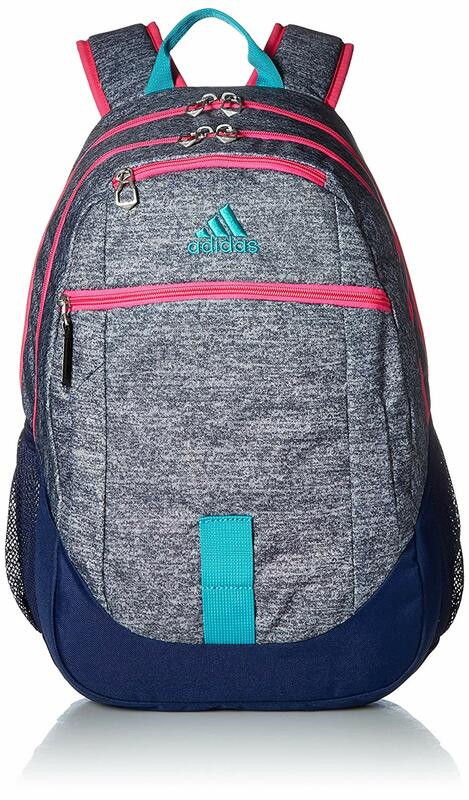 Similarly, if you are a girl and have this bag, you’d need a book bag and a pencil case that matches. When it comes to features, this set is not something to be taken lightly. It has a waterproof coating that protects from up to 8-10 minutes of rain. It has a large capacity, multiple pockets, fits 14″laptop/15″ Mac and accessories, 3″ binder/folders, school textbooks, and supplies, etc. A retro theme, faux leather, black finish; what else do you want in a bag? 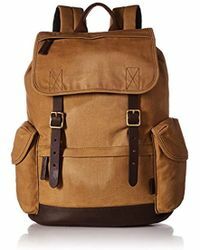 This rucksack nails all the wishlists when it comes to fashion. 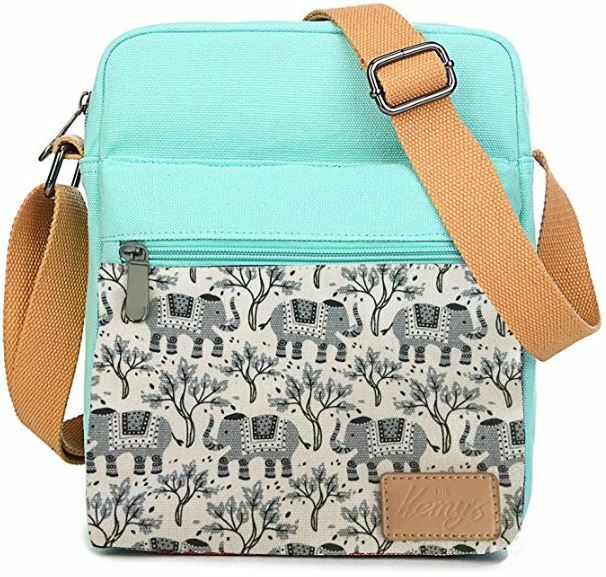 It has a convertible strap, meaning you can wear the bag comfortably as an over the shoulder bag or a backpack. The product description page on Amazon lists that you can store also store small snakes in it. Apart from that, this bag can hold an iPad, a 6-inch kindle, some makeups, a wallet, and an umbrella altogether. Besides, the best part is that you can also wear it apart from school. Believe it or not, but Vera Bradley makes the best designs for bags in the market. This bag, particularly, contains wheels so that you don’t have to lif the bag at all times. This also allows for extensive storage. The bag is made up of a water-repellant man-made polyester. It has pull-out handles with hide-away shoulder straps. Exterior features two zip pockets and two slip pockets. Main compartment features four pen slips, two slip pockets, zipper pocket, and laptop compartment. It has a flat bottom with feet and wheels and a lined interior. What else could you ask for in a bag? 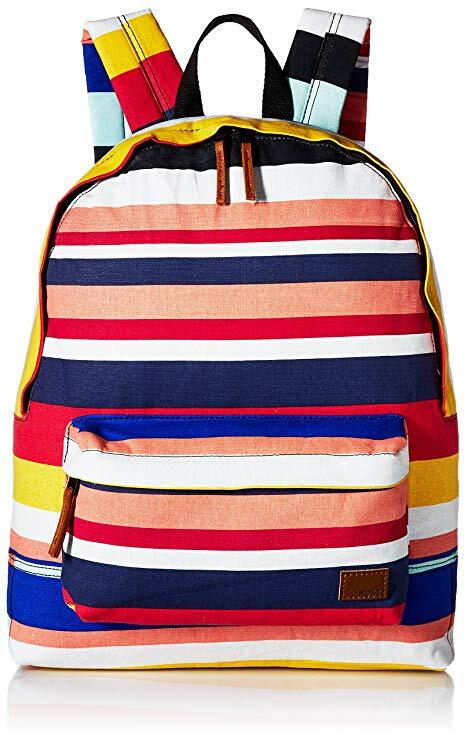 If you love colors, this bag is for you. I mean, just think about it: this bag could go with any outfit you wear. Apart from the looks, this bag is made up of a 100% percent cotton, sports a zipper closure, has a decent storage space, and contains one exterior pocket. Even though this bag may seem simple, it is highly usable. You could even use it as a pillow, given that it’s made entirely out of cotton. Sports backpacks have one thing in common: they support your body structure and kind of wrap around your body. Although sports backpacks aren’t just used for sports, they can easily be considered to carry books for history class. 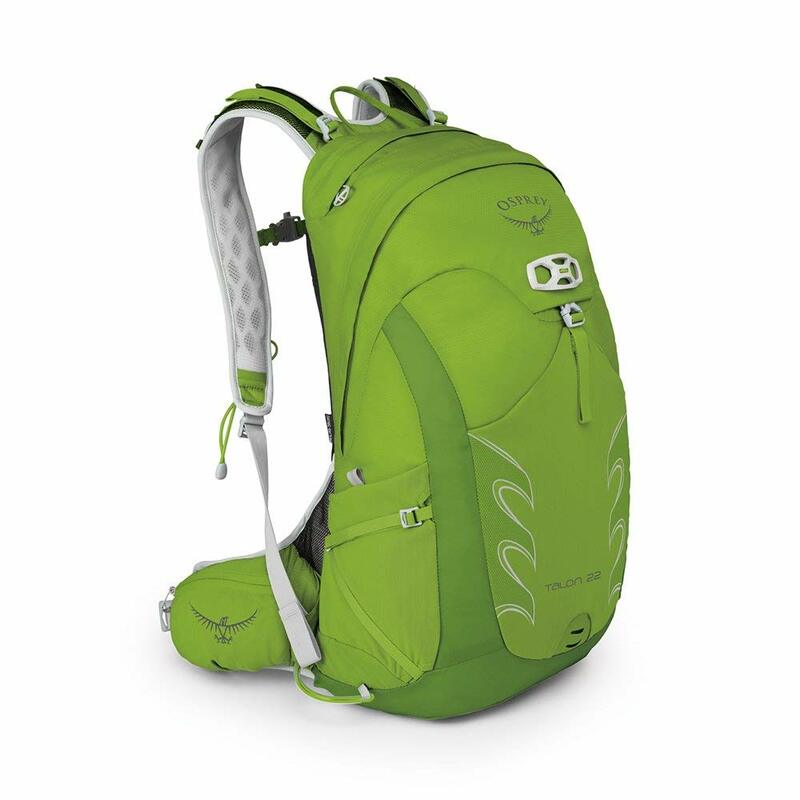 This one by Osprey not only has a clean look but also has some slick features. For instance, it has an adjustable torso length, a mesh covered accordion foam back panel and external hydration access. I wouldn’t say this is the ultimate sports bag, but it sure covers the basic necessities. This one’s for kids, obviously! It has a mixed design which makes it appear both mature and adolescent at the same time. 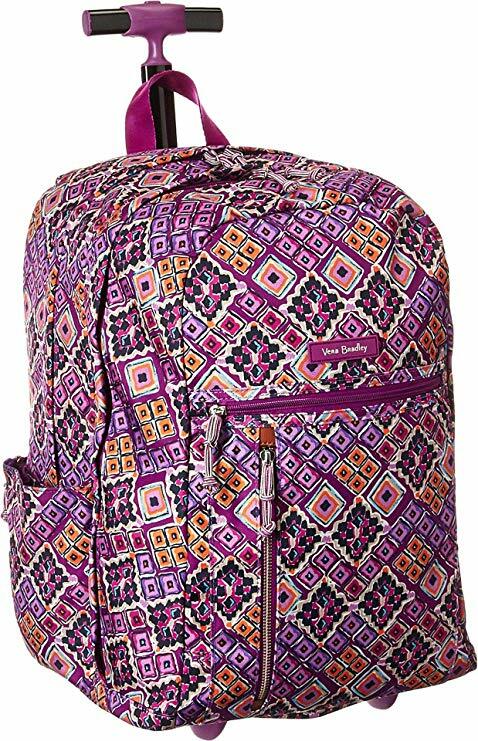 It’s 100% made up of polyester, has padded shoulder straps for a comfortable experience, has multiple, dual-zip compartments that provide secure storage. The haul loop at the top provides an alternative carrying option, and it also has a removable pencil case for convenient storage. 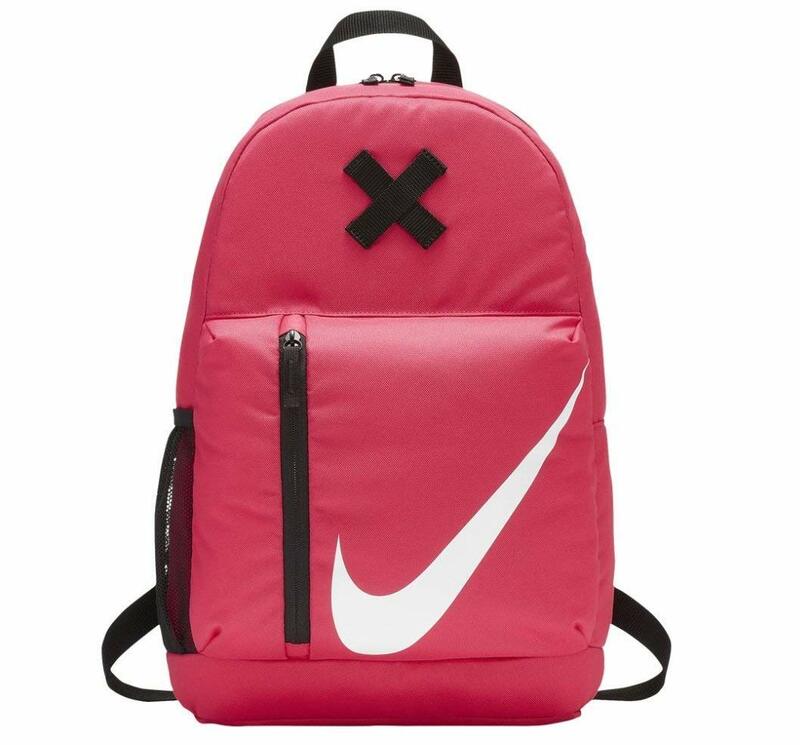 This is by far the best bag for kids in this back to school season. It’s Adidas. The brand speaks for itself. And to justify that, let me just disclose it to you: it gives a lifetime warranty on this bag. Feature-wise, to start things off, this bag is made up entirely of polyester. 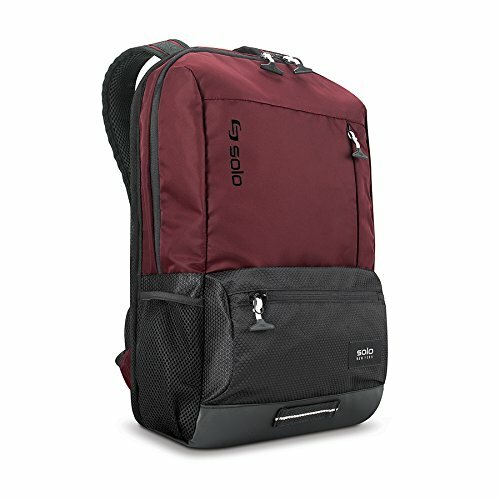 It has four outside zippered pockets, internal zippered organization pockets, and a computer sleeve so you’re school ready. And it is built to stand up to wear and tear. It has got two pockets where you can slide in your water bottles. Apart from that, it sports padded shoulder straps for comfort. This one is for the ladies. Its gradient appearance is what makes it attractive. On top of that, it’s significance is doubled by the features it sports. It’s made up entirely of nylon. Apart from that, it is highly water-resistant, has an easy access front valuables pocket with carabiner zipper puller for an added attachment point, a soft-lined, internal tablet sleeve, and the adjustable body strap clips together in the front. Additionally, it also has an internal water bottle holder. If you have been playing sports lately, you already know that Under Armor is the definition of sports products. This backpack from the company is a retro take on sports fashion. The camouflaged design along with accented hints gives this bag an exceptional look. It has a water-resistant finish, its innovative new construction can be flipped around & worn with bag facing either direction. It has adjustable and removable shoulder straps. Each side of the bag features a different graphic design and an exterior zip pocket. 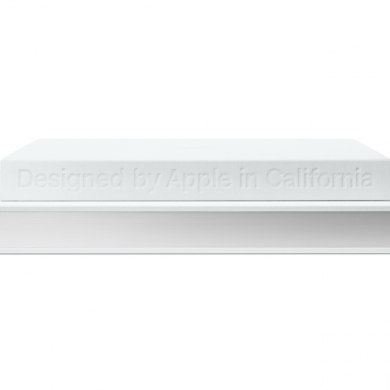 It also has a storage option for holding 15-inch laptops. One word: Phenomenal! [dropcap]W[/dropcap]hether you’re in math class or in history, you need pens to instantly jot down important points. This is the reason they make it in the back to school list. But, what’s the best for you? Find out below. This pen set comes with 12 assorted colors of pens. 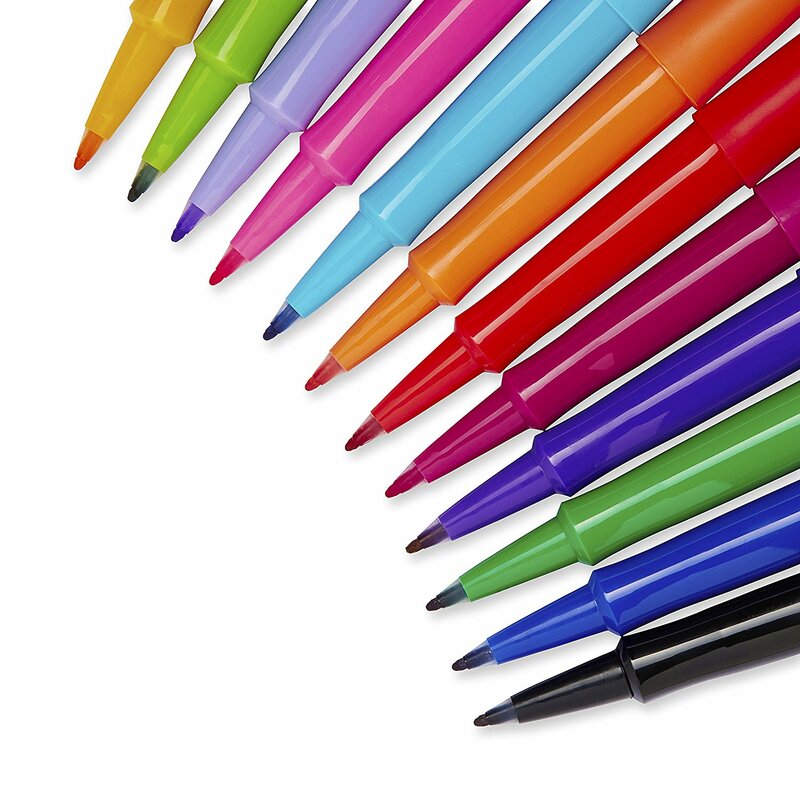 the medium Point felt tip (0.7mm) produces bold, expressive lines to match your personality. Flair claims that these pens won’t produce smudges and its point guard tips would prevent tips from fraying. If nothing, these pens are highly useful. Just like Under Armor is the definition for sports items, Uni-Ball is the definition for pens and other stationery. 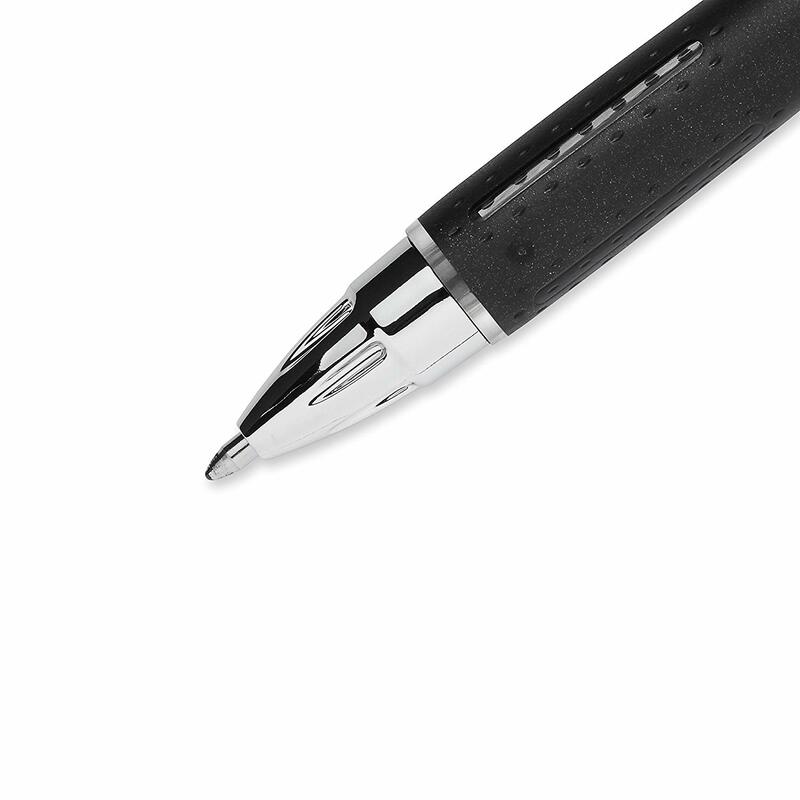 Its pens usually have a personality that showcases the personality of the person holding it. This one discharges ink that instantly dries allowing you to have a smudge-free experience. Its accents are made up of stainless steel, and the ink is also water-resistant. This pack comes with 12 units. If you are a retro person, this pen’s definitely for you. The brand says the rest. It comes in six different accents. [dropcap]S[/dropcap]chools are not only known or academics. There are extra-curricular activities as well. For instance, you have an art class, a craft class, etc. At those times having a glue with you is kind of important. Having a glue handy also helps if you snip a page accidentally out of your assignment book. So, here are some good ones you would need. This is a safe, washable, and non-toxic glue for children. Its “no run” formula is adjustable before setting and dries clear. It’s also the number one brand trusted by teachers. 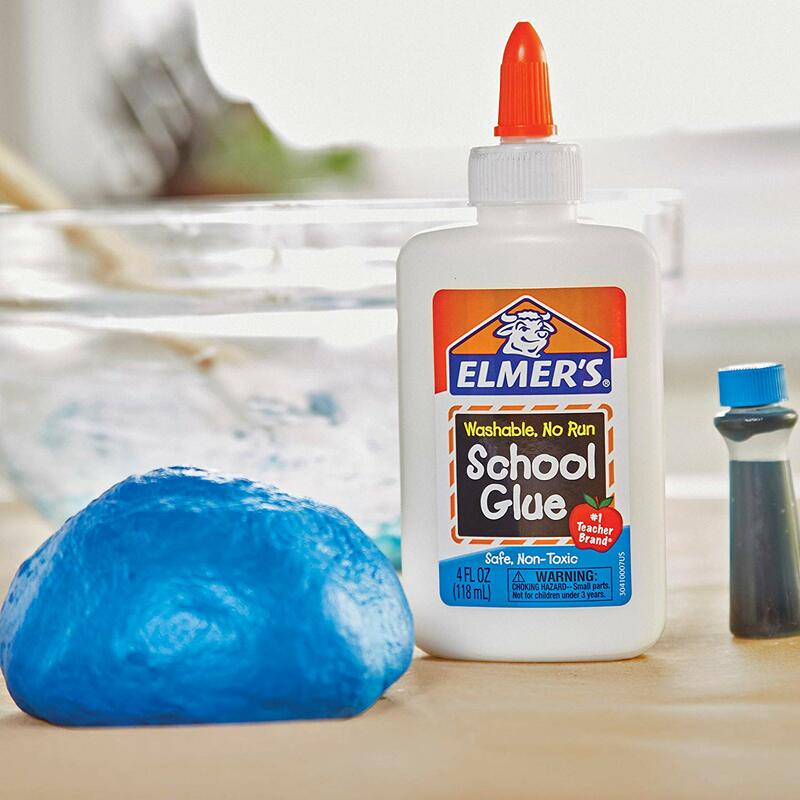 An additional benefit is that this glue is perfect for making slime in the classroom or at home. This buy comes in a pack of 12 glue bottles. This glue is by Amazon. And it makes pretty good slime- that’s what the company states. It bonds with paper, wood, ceramic, and more. It dries rapidly and is non-runny. The biggest advantage is that it’s not toxic and easily washes away from hands and clothes. 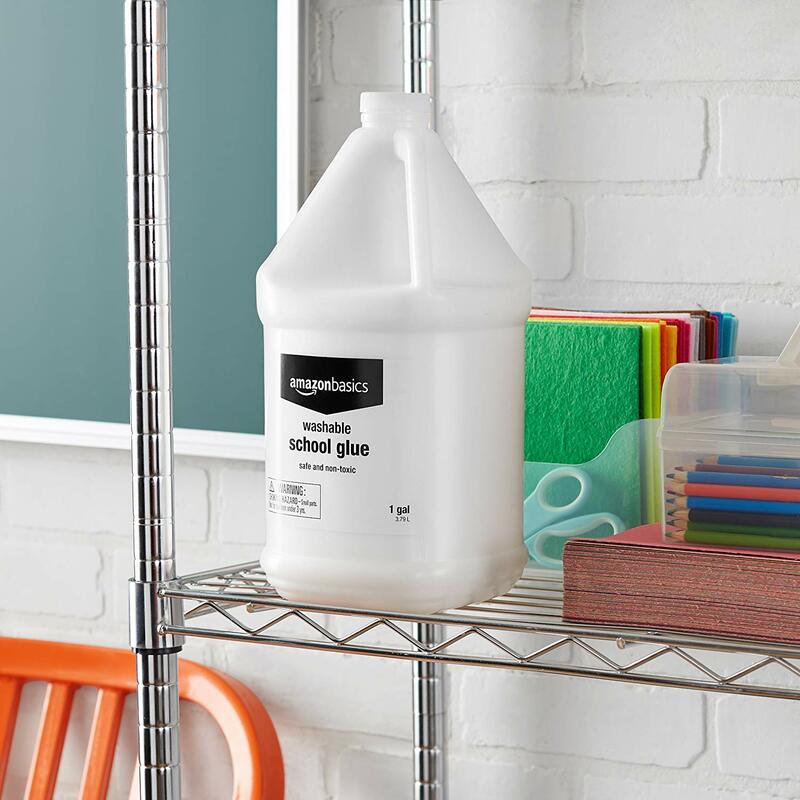 This glue is just a smaller version of the larger AmazonBasics liquid glue, and in the form of a stick. 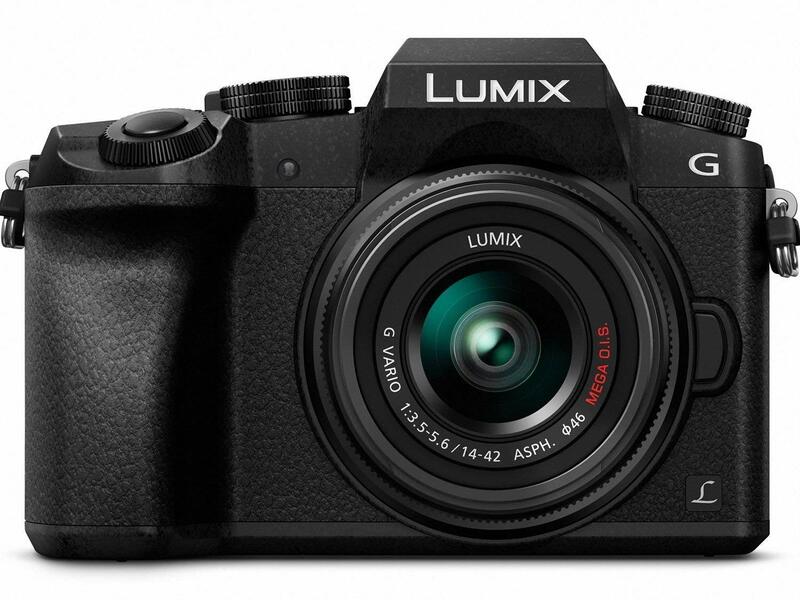 This camera by Panasonic is a boon for beginners. It has a 16-megapixel sensor that is capable of capturing photos in 4K. The auto-focus capability makes it more suitable for teenagers with high adrenaline levels. The G7 is also well-known for stunning low-light shots with an ISO of 25,600. Additionally, it is a mirrorless camera, which makes it even more amazing than it ever could be. GoPro is a company that feeds upon adventurous individuals. And who could get more adventurous than teens themselves? This makes GoPro the best action camera for you. 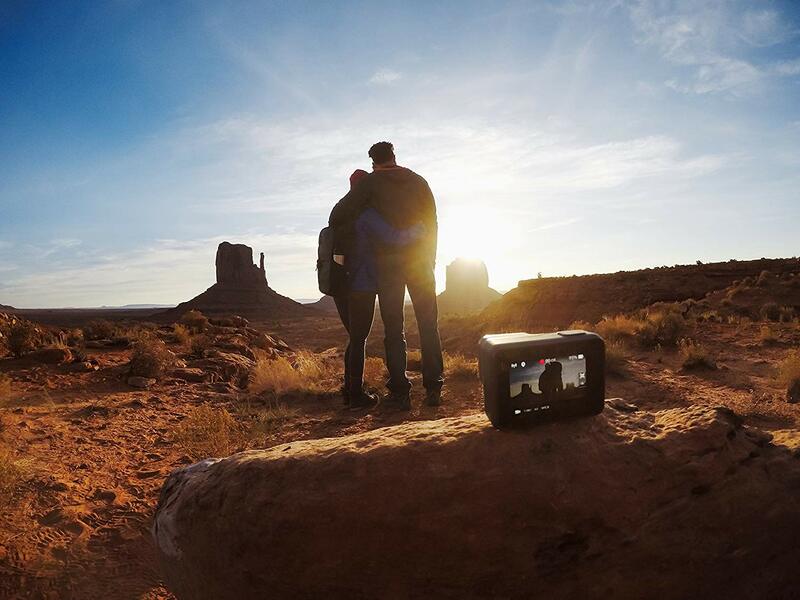 It captures stunning 4K videos and 12-megapixel shots in single, burst, and time-lapse modes. You can immerse the Hero 5 in water up to 33ft (10m) and nothing will happen to it. You can take it to further depths, but GoPro recommends covering it up with external gear. It has a 2-inch touch display if you want to review your shots on the spot. Accessing and controlling the Hero 5 is also very easy: all you have to do is press a button at the top or just use your voice to activate it. GoPro is out of the drone business now. But when it was active, it dominated the market, especially with the introduction of its Karma drones. This one, though, is no different. Its highlight features are its compact form, lightweight body, retractable and attachable rotors. It comes with its own stabilizing equipment the company likes to call “Karma Stabilizers.” And believe it or not, it captures breathtaking stabilized video. And this quality of the Karma drone was endorsed and shared by most YouTubers when it was first launched. The best part is that it comes along with GoPro’s Hero 6 camera, which is the best GoPro camera on its own to date. [dropcap]I[/dropcap]n the ’90s, school children didn’t have portable devices that could take selfies. But students now do. And smartphones dressed up as just smartphones aren’t usually appreciated. What makes them more special and celebrated are accessories. Huawei’s been rocking the smartphone markets lately, competing with top-tier smartphone manufacturers such as Samsung and Apple. Though, very fewer people know that it also dabbles in the wearable market. The Huawei Watch 2 ships with a lot of sensors that monitor almost every aspect of your physical life. Heart rate. Sleep. Workout. Everything. It has built-in GPS in juxtaposition to NFC (Near field communication). In terms of software, the Huawei Watch 2 has Android wear as its operating system, just like most other smartwatches. 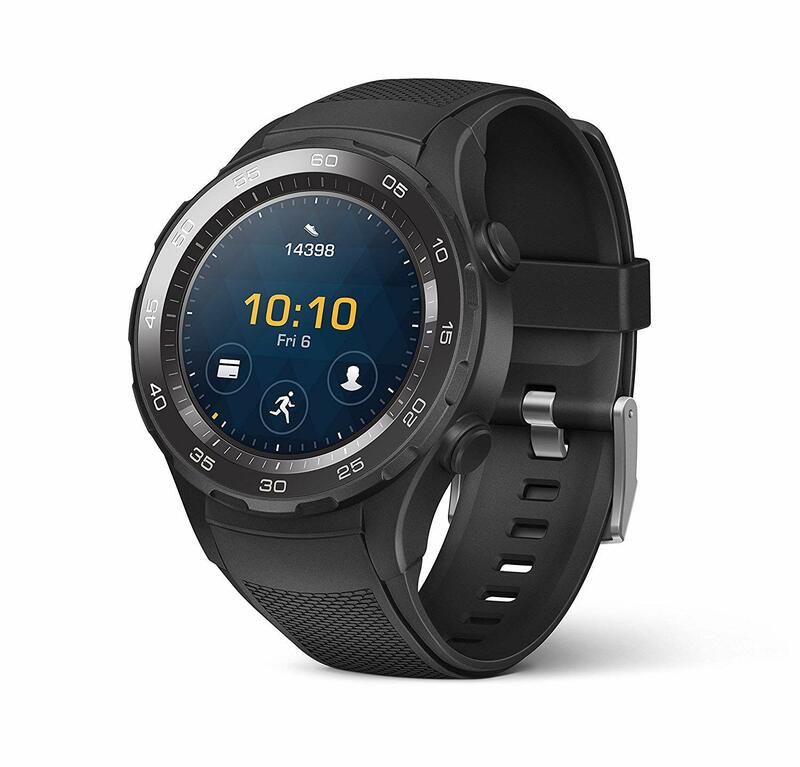 The Android wear package also comes with the Google Assistant as well as Google Play Music built-in, which Huawei leaves no chance of boasting it in its Amazon product description. This watch doesn’t fail to impress when it comes to battery life. You could get 3 weeks of juice if you use it on watch mode, 2 days on smart power mode, and seven hours of constant GPS usage. The NFC chip in the watch regulates Android Pay payments. You can do lots with a VGA adapter. It’s especially a useful thing to buy if you are working on a presentation on your iPad/iPhone. 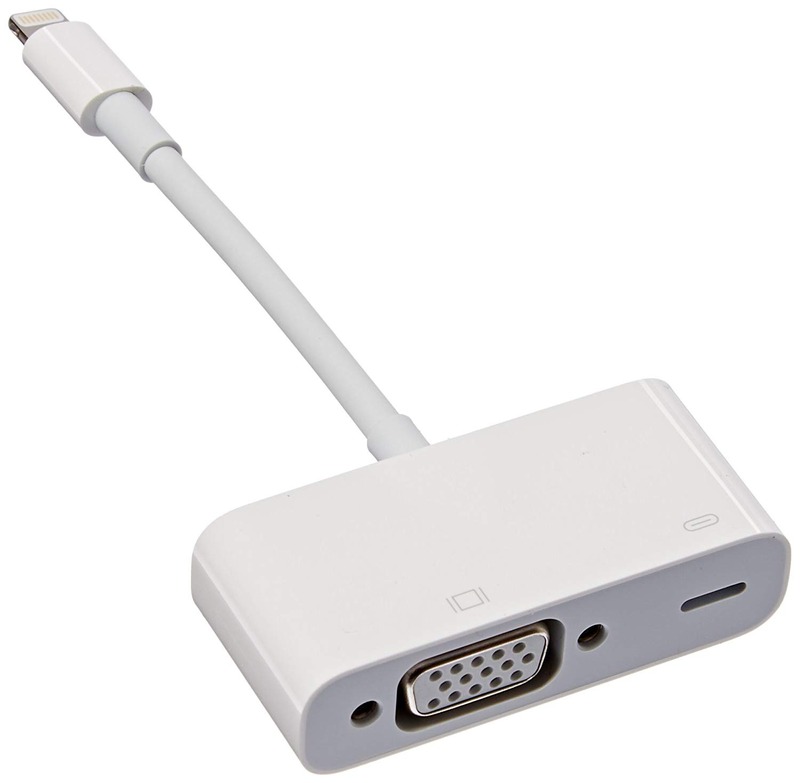 This adapter allows you to connect a monitor straight to your iPad, making it easier for you to roll around with your presentation. It outputs video content – movies, TV shows, captured video – to your big screen in up to 1080P HD. You can also mirror your device’s display on a bigger screen. This is the best thing you could buy for your iPhone in your entire life. If you might be aware of the cord-chipping problem original iPhone charging cables have, you might also have realized that it’s a nightmare. 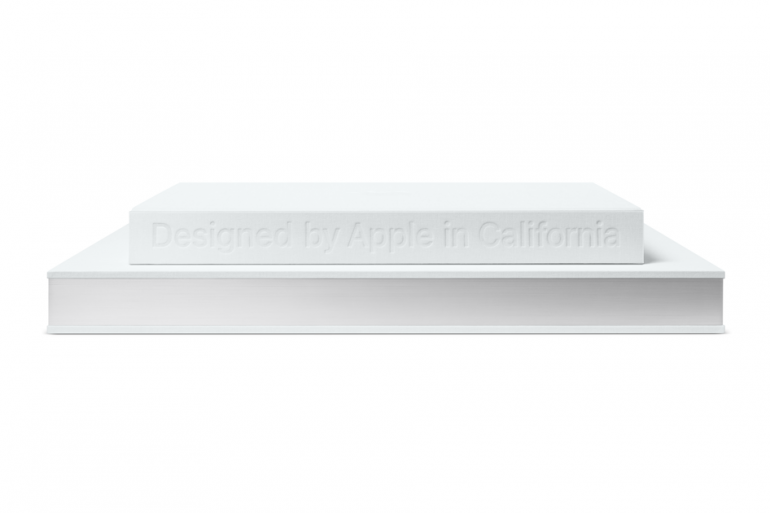 Original Apple charging cables aren’t cheap and even if you buy one, it’ll break again. It’s still a controversy in Apple’s part. Though, the point is that this cable would take away all your charging cable related problems, crumble them, and throw it in the trash can. You could keep the retractable mainframe in your pocket like it’s an AirPods case. And since it’s made by Amazon itself, you won’t have to worry about the cable chipping part. You can’t bring an Oculus Rift to the school. And this is probably for two reasons: it’s too huge to handle, and no one will allow you to. But, there’s an alternative you could use. 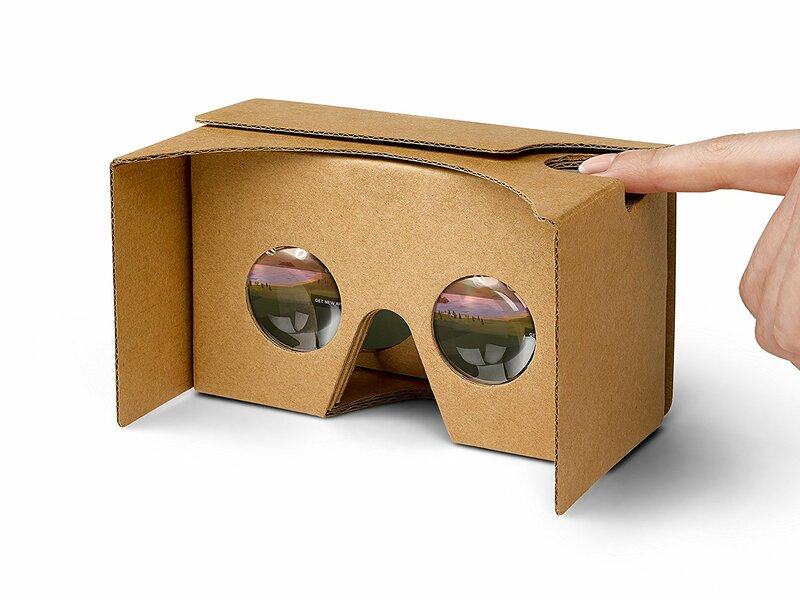 The Google Cardboard. It comes as pieces of cardboards and lenses which you have to assemble. Once assembled, you can slide in your smartphone and watch videos in an immersive environment. There’s one caveat though. You can’t play games on it! But at the end of the day, it’s a nice little distraction during breaks. Here’s how to start coding the right way! Teenagers are ruthless. And getting a screen cracked once in a while is not a rare occurrence. But, having a pop socket could help. Thank me later. [dropcap]T[/dropcap]hese are the ultimate electronic devices you could think of buying. Yet, these are the basic. Not even an old man could live without a smartphone these days, let alone school-going teens. 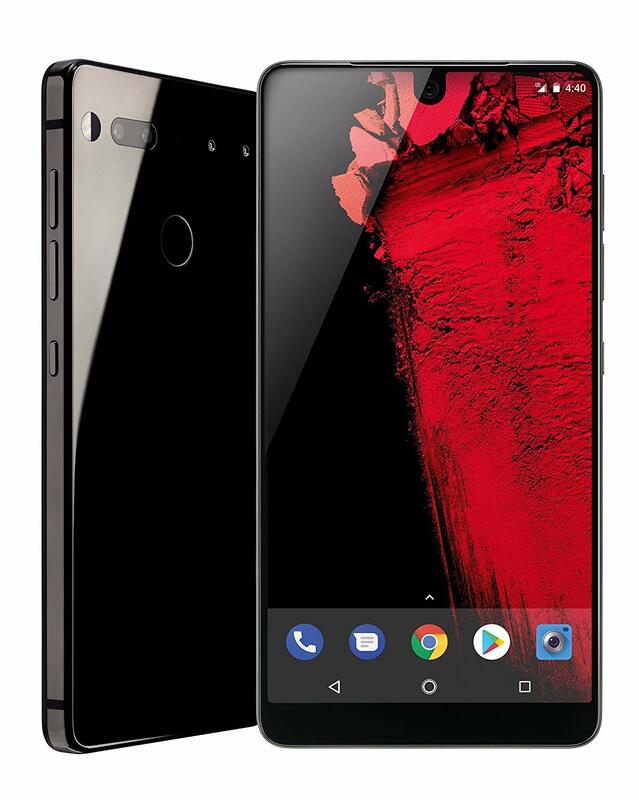 The Essential phone acquired a lot of fame and media coverage during its launch. Why? Because it was the first smartphone with a bezel-less design along with a notch. Essential may now have been shut down, but it’s still a hot smartphone (no pun intended). It’s features too, shunned the entire universe. 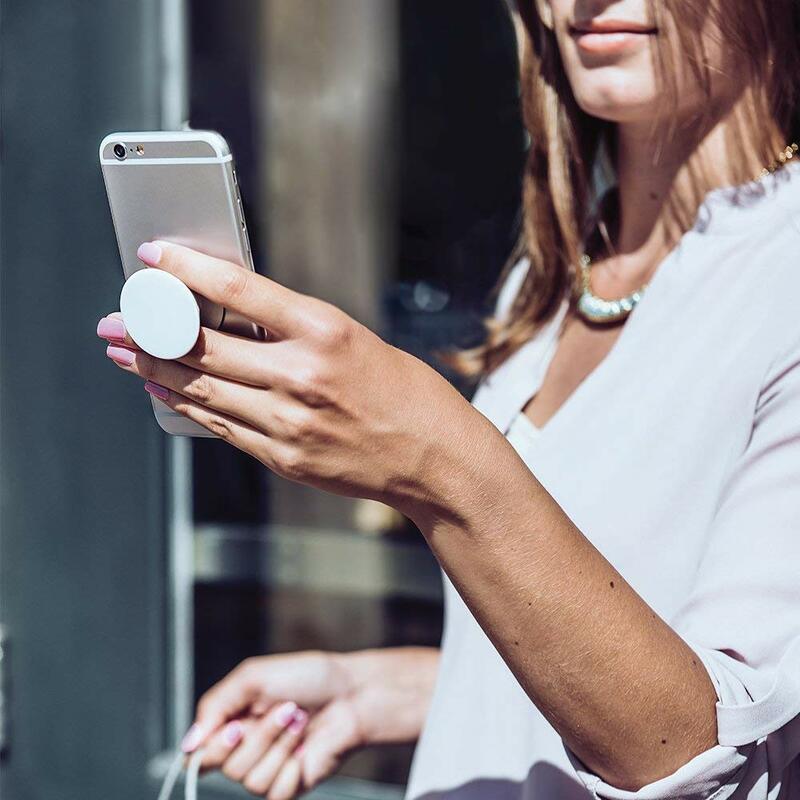 At just $350, you get a device with a ceramic back and titanium plating on the back. This phone gives you the goods of premium smartphones in a very affordable price. It does not have a phenomenal display, especially because it’s an LCD, but this is at least what you can expect from a $300 smartphone. Inside, the Essential phone is powered by an octa-core Snapdragon 835 chipset with 4 Gigs of RAM and 128 Gigs of storage. It’s camera specs are impressive too. The front camera on this one is an 8-megapixel f/2.2 sensor and can shoot 2160p video at 30 frames per second. At the back is a dual camera setup- a main sensor and a telephoto lens. The main camera sports a 13-megapixel sensor with an aperture of f/1.9. And the best part is that the camera sports laser auto-focus. Overall it’s a pretty slick phone that performs above expectations. Samsung mostly rides on top of the best smartphone charts. And this one by Samsung is no exception. It’s a major flagship that pleases the mind by its physical appearance, wows the heart with its lucid display, and blazes the senses with its speed. 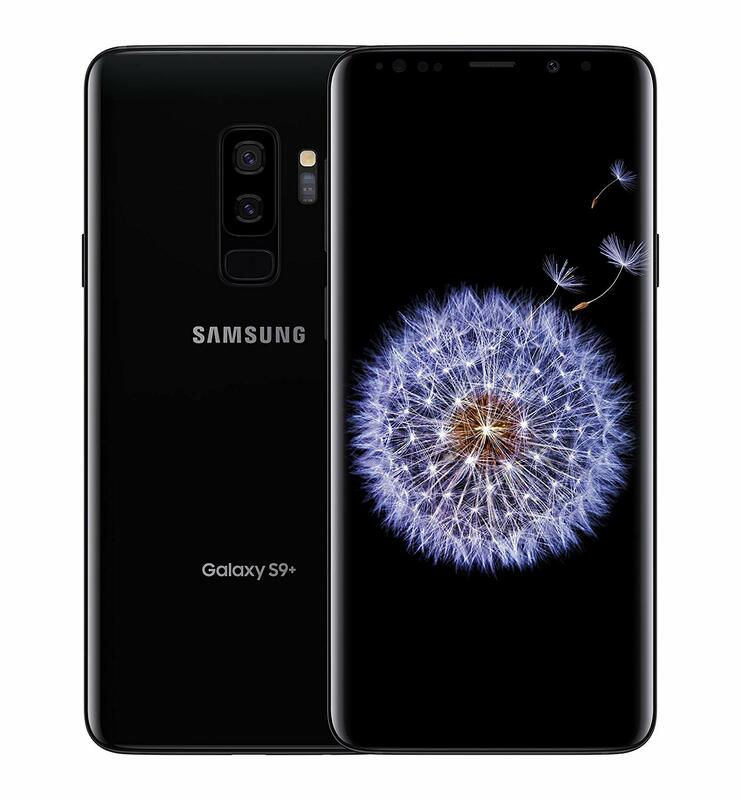 This is the S9 Plus, the pro model out of the two models released this year. There’s also the recently released Note 9, but it’s not suitable for school. The S9+ has its own version of Apple’s Animoji. It has brilliant front and back cameras of which both are capable of capturing life-like low-light shots. The IP68 waterproof rating makes it a very durable phone. It has a 3500 mAh battery that lasts almost a day of heavy usage. 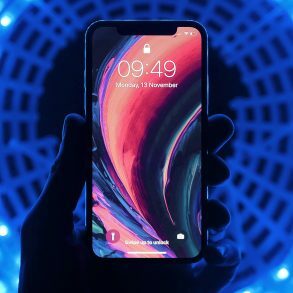 Its camera can capture radical 960 fps slo-mo video which is great, but in reality it doesn’t match other smartphones such as the iPhone X. Overall, it’s a pretty reliable phone. 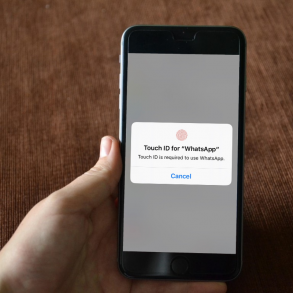 The company has also promised software updates to an extent. But, we all know how Android software updates roll. I cannot stress this more- you won’t find a phone more reliable, more splendid, more beautiful than this one. 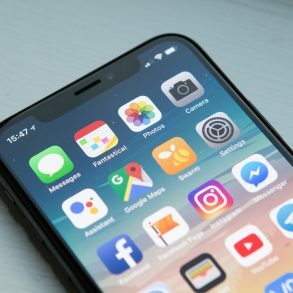 Apple has been and is the most celebrated smartphone maker currently, thanks to its iPhone X, which revolutionized the way people see notches. Inside, there is an A11 Bionic chip with six cores that can perform any task you throw at it. However, it lacks a bit in terms of RAM, since it only houses 3 GB of it. But, RAM management through software does a pretty good job at making things a bit even. Speaking of cameras, the iPhone was the first smartphone that came with a dual camera setup. It started a trend among manufacturers which soon spread like blazing fire. Now, almost any smartphone has a dual camera setup, courtesy of the iPhone. 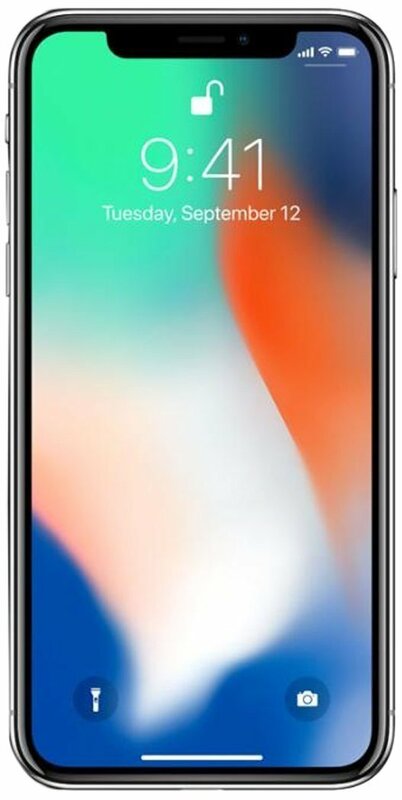 Speaking of which, this smartphone by Apple has a 12 megapixel f/1.8 main sensor and a 12 megapixel f/2.4 telephoto lens which can provide up to 2x optical zoom. Both the sensors on the back have OIS (Optical Image Stabilization). This is the 256 GB version which is more than enough for a student. On the front, there’s a 7 megapixel f/2.2 sensor that captures stunning selfies. Although, the front camera is housed on the notch, where the Face ID sensor is also present. But, these are just specs. These often get overlooked by exceptional performance, especially in iPhones. The real reason you should buy an iPhone is its iOS operating system. You get updates for 5 straight years, which is unlike any other smartphone line in the market. Apple also roots for education a lot. As a result, there are a lot of apps and services specifically created for Apple users. Simply put, Apple devices are the best when education intervenes. 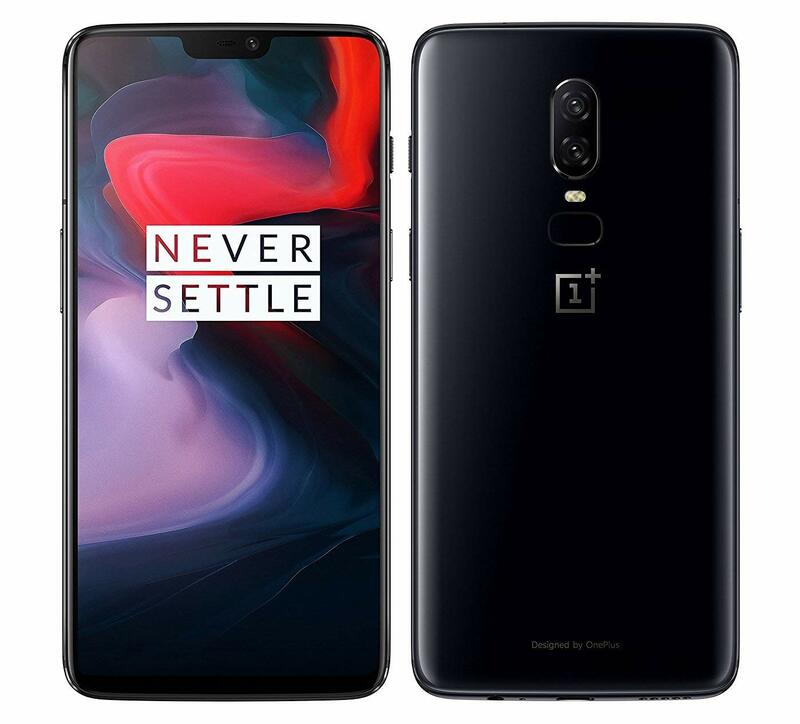 This OnePlus 6 is a 128 GB version that contains 8 GB of RAM. Lower storage options come with just 6 GB of RAM. Aside from that, it houses Qualcomms Snapdragon 835 chipset- the same chipset that’s present in the Galaxy S9. The only difference between the two is that the OnePlus 6 has an Octa-core processor manufacured using a 10nm process, clocked in at 2.8 GHz. It has a beautiful AMOLED display that’s said to compete with Samsung’s S9. Besides, it has a 16 + 20 MP dual camera at the back and a 16 MP camera on the front. The OnePlus 6 comes with Android 8.1 Oreo pre-installed. Also, unlike other Android flagships, OnePlus gives a bloat-free and a near-stock experience. This is the same as an iPhone X. It has the same specs, same internals. 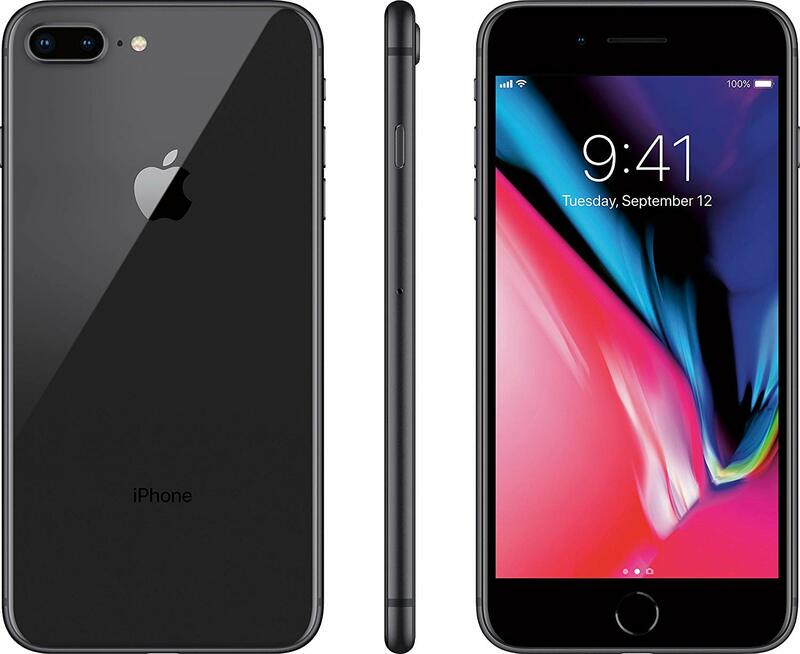 But if you want the latest iPhone without a notch, this is your go. This is by far the most efficient smartphone when it comes to back to school tech. [dropcap]Y[/dropcap]ou can’t do heavy research stuff just using your smartphones. You need something robust. Something that can handle everything that you throw at it. This is where Desktops enter. They are versatile, fast, efficient, mesmerizing, and reliable. 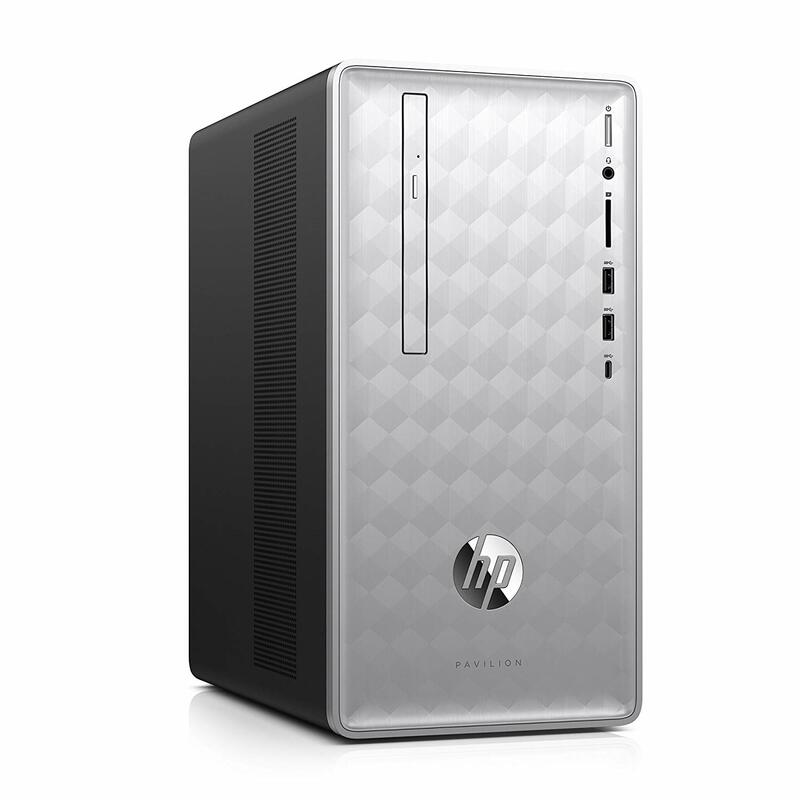 This makes desktops one of the most wanted products in this back to school list. 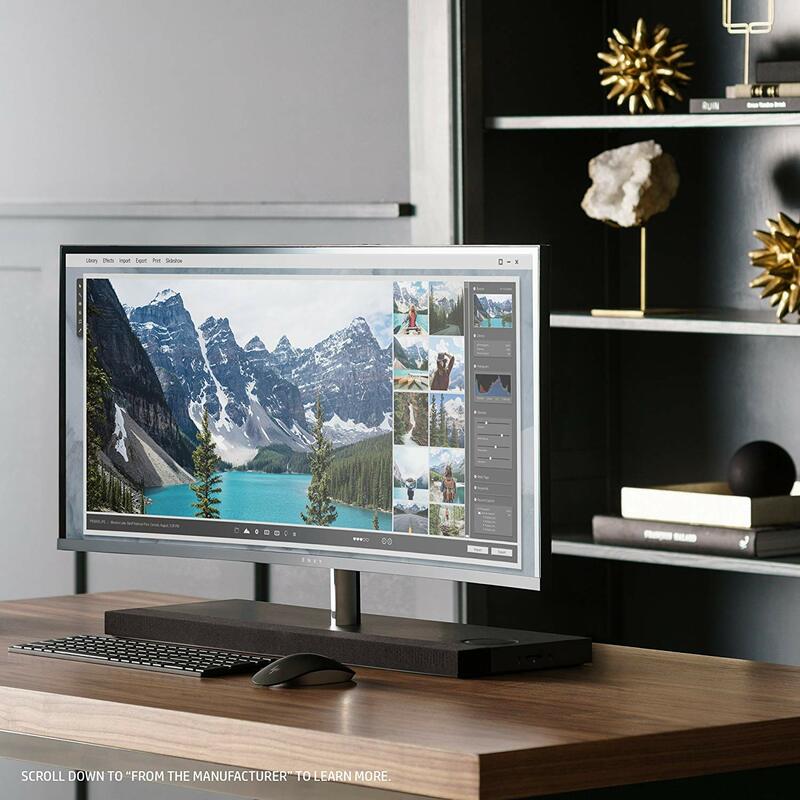 This is the ultimate all-in-one package by HP. This desktop comes with a curved QHD LEd 34-inch monitor, an Intel i7 processor, 16 GB DDR4 RAM, and AMD Radeon RX 460 with 4 GB DDR5 memory display card. These specs are just about enough to convince a person to buy it. Simply put, this is a pure necessity for students going back to school. It has an AMD Ryzen 1700 processor with eight cores clocked in at 3 GHz. 12 GB RAM, 1 TB hard drive, and comes with a keyboard and a mouse. 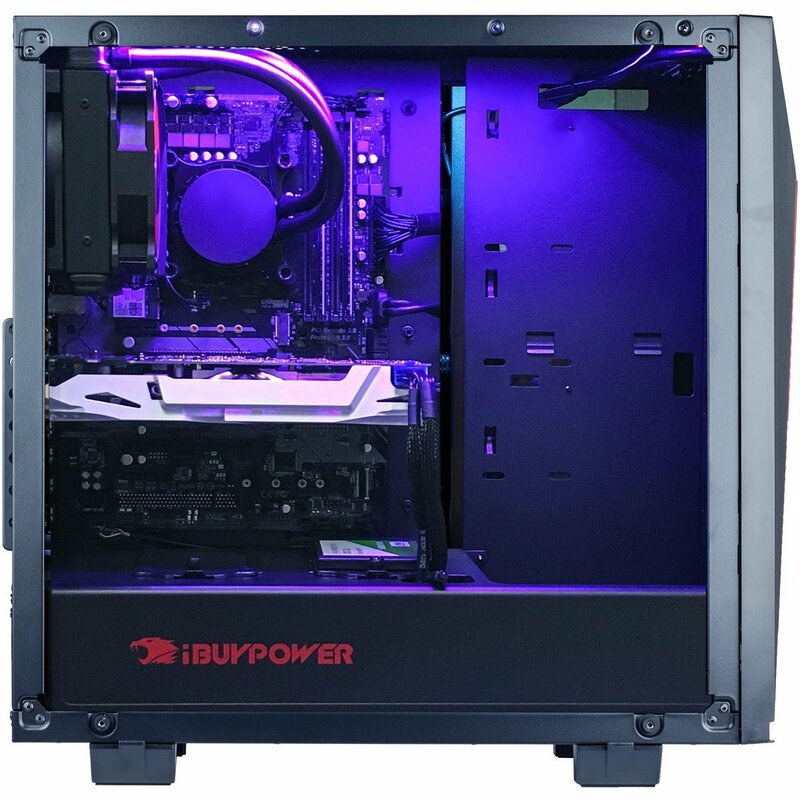 This is not a rigged desktop but it does the job at an affordable price. It’s good to let off stress every once in a while. This is especially applicable to guys who go to school. And what’s a better way to relieve stress than by playing games. Well, this desktop can make that happen. It has an Intel i7 processor with six cores that’s clocked in at 3.7 GHz. The motherboard on this one is liquid cooled. Aside from that, it has 16 GB DDR4 RAM, a 1 TB HDD, a 240 GB SSD, and is virtual reality ready. [dropcap]D[/dropcap]esktops aren’t portable enough that you can carry them to school. But you know what you can? Hard Drives, USB Drives, SSDs etc. That being said, let’s take a look at the best storage and memory devices for back to school season. 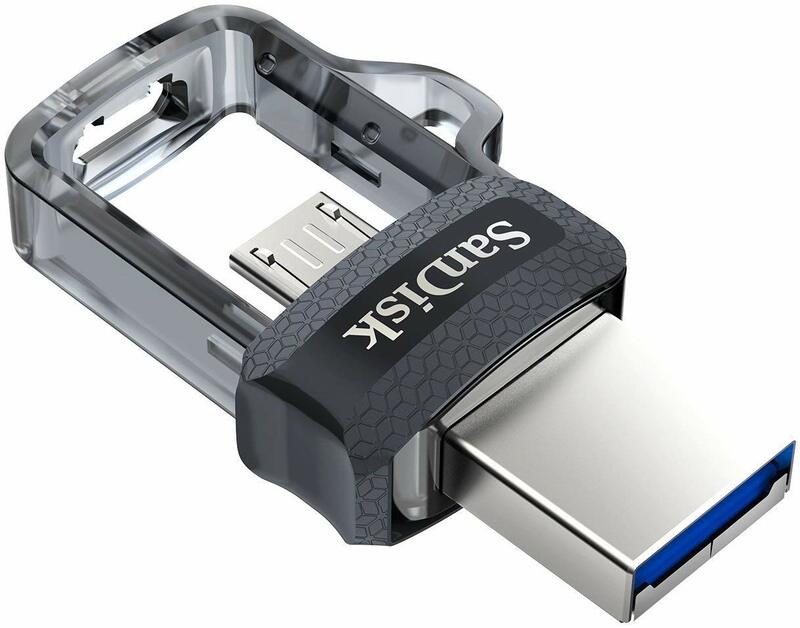 This USB drive is 10 times faster than what USB 2.0 drives offer. It can store transfer large files to and fro in a jiffy. It can store upto 256 GB of storage, approximately 47, 349 songs. That’s a lot of songs. 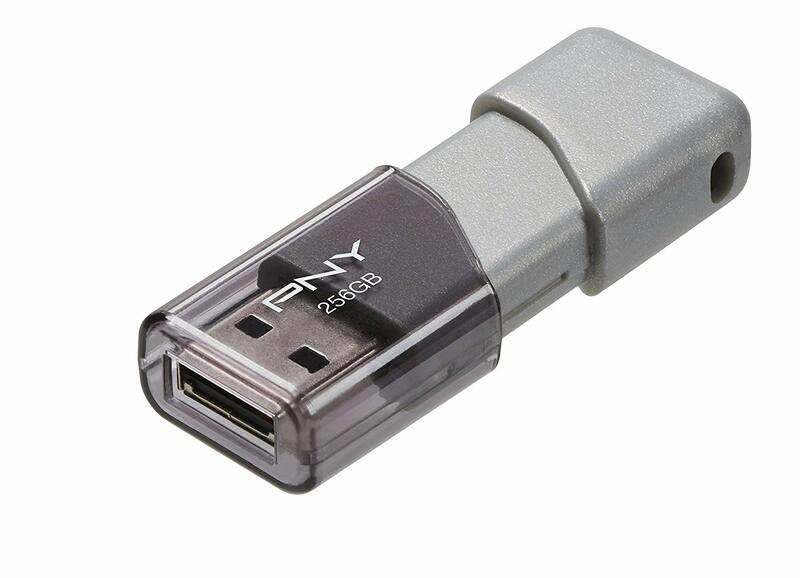 This USB drive also has a unique sliding collar capless design so you don’t have to worry about losing the cap. On top of that, you also get free technical support. 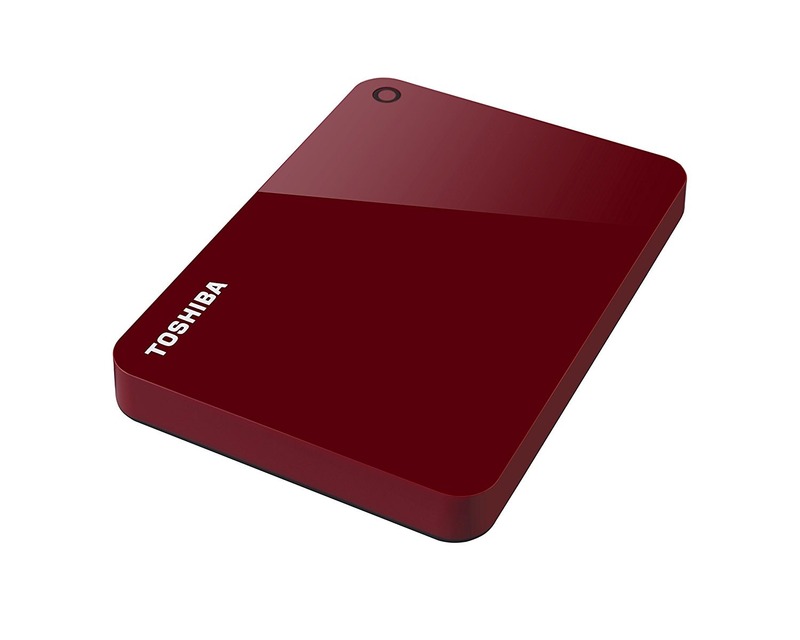 Portable hard drives are a must when it comes to managing content and back to school assignments. A lot of students pursue careers in YouTube as well. Hence, this one from Toshiba is a must buy. It comes with a 2-year warranty and is available in four different colors. You’ll also get supportive software to manage your hard drive and to protect your data. You’ll need this one in photography class. 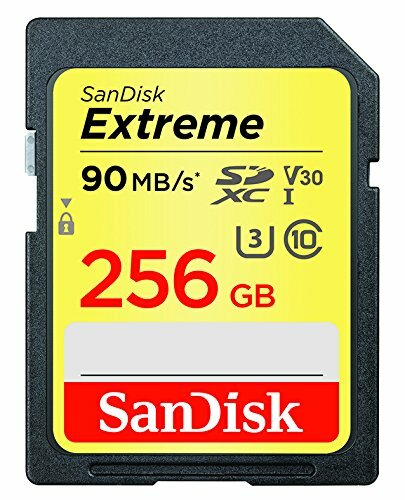 This storage card from Sandisk gives you speeds up to 60 MB/s write speeds and up to 90 MB/s read speeds. On top of that, this card is shock proof, x-ray proof, temperature proof, and waterproof. 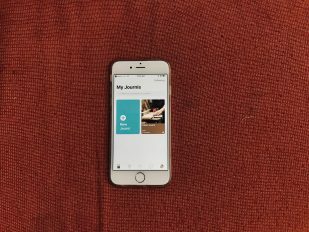 [dropcap]A[/dropcap]nother great method for releiving stress is to listen to music. These headphones bring the party in your ears no matter where you go. Let’s see what it takes to make you groove! 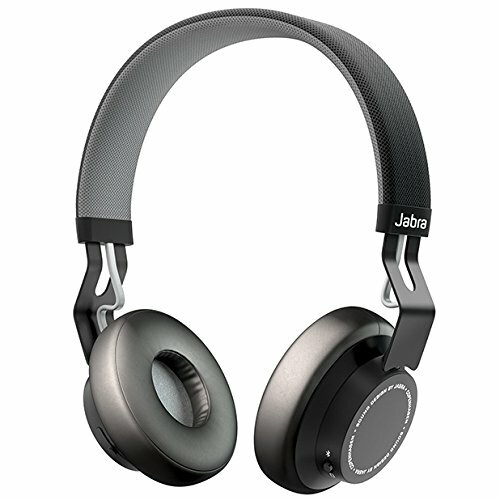 These wireless headphones by Jabra are a great deal. It has an ultra-light and adjustable headband that fits all heads. 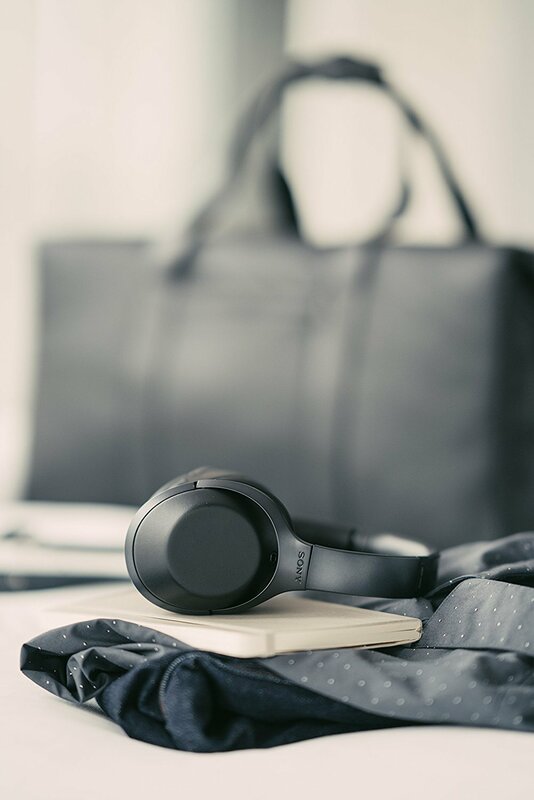 Besides, its manufactured using stainless steel and dust-resistant fabric, so that you can use these headphones for years and they would still look new. On part of connectivity, these headphones are easily accessible. Just connect them using any device capable of a Bluetooth connection. Although, it also comes with cords so that you can hear them when your device’s battery is low. Speaking of the battery, these headphones can give you up to eight hours of talk time/music time and up to 12 days of standby time. There’s just one discrepancy- these headphones use Bluetooth 4.0 technology while the world is slowly graduating to Bluetooth 5.0. If you want to stay out of Apple’s ecosystem, you can go for Jabra’s Elite ear pods. These Alexa-enabled ear pods fill in for when you don’t like wearing huge headphones. 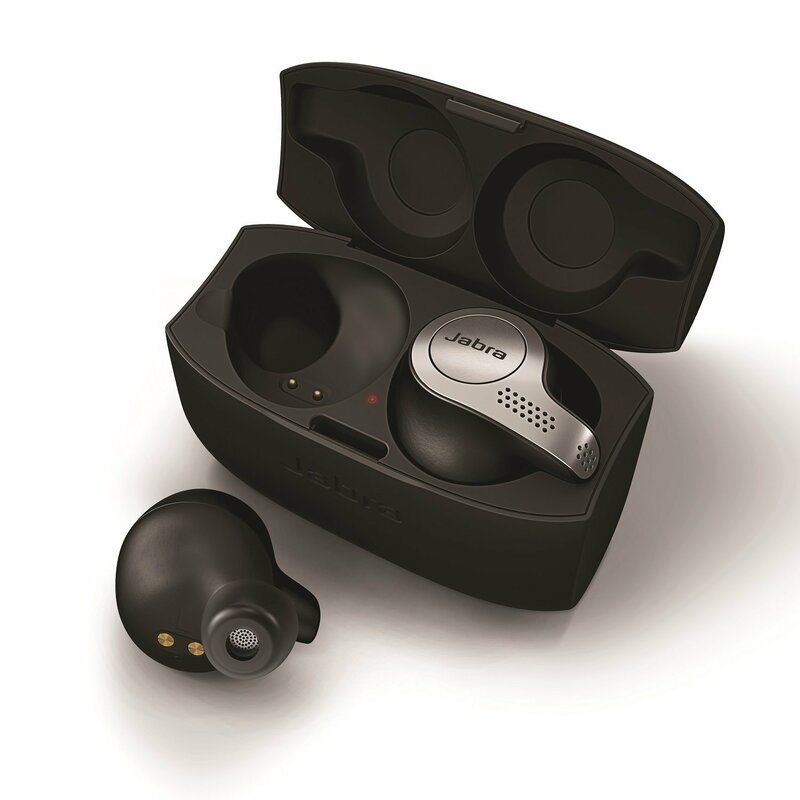 These ear pods have a dual microphone to listen to voice commands and reciprocate. They come with a charging case that holds a charge for up to 15 hours, while the ear pods themselves stay alive for five hours. And believe me or not, these headphones look much better than Apple’s AirPods. Headphones on one side and noise-canceling headphones on the other. What those do is separate you from the rest of the world. They bring you to a virtual audio world. These headphones by Sony are no joke. They have a battery life of 20 hours and provide controls using touch. No buttons. 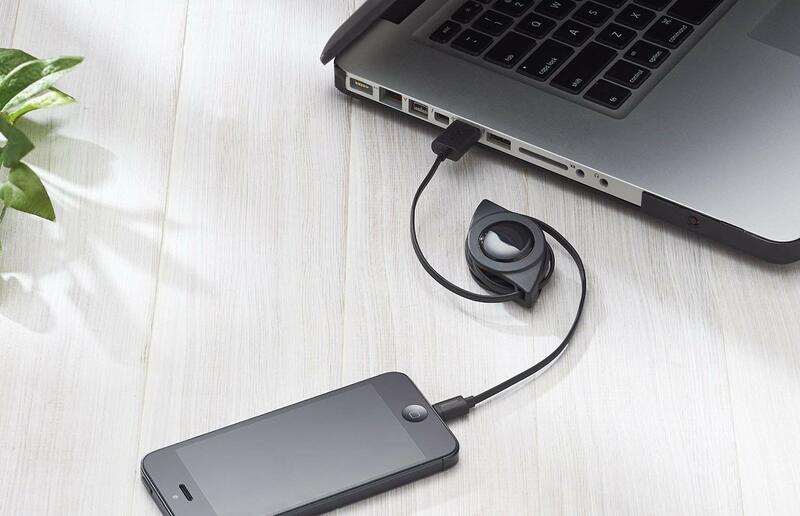 These, just like the Jabra overhead headphones also come with an external cord. Check this post out for Printers and Inks.